Cambodia nowadays is not the Cambodia 10 years ago. Cambodia is trying its best to develop itself to be a country that the world knows. Economic, entertainment and development are the things that every Cambodian people have to do. High buildings and fancy cars, all this things you’ll see when you traveling in Phnom Penh, the capital city of Cambodia. Recently, City Mall, had announced that they’ll open a brand new Hollywood cinema and maybe the first cinema in Cambodia in May 2010. If there’s nothing wrong, we’re going to see the first international standard cinema in Cambodia and thus, you’ll see the new release of Hollywood movies right here in Cambodia. Can’t wait to see it then. This recent days, the world is waiting and hearing the news of the iPhone 4 white color being released this week. Just hours ago, Redmondpie website post on their website hand on the iPhone 4 white video. Here’s the link that you check it how beautiful iPhone 4 white is. Everybody knows that president Barack Obama is a enthusiast. He made his first footprint when he first step into The White House with his blackberry phone in hand which that case never allowed for years. Recently, he said that ” the technology of The White House is 30 years behind”. That’s mean, every technology that’s The White House using is really up-of-date and that is the point that White House should take a look to the wide world and the benefits from nowadays hi-tech then. Now, President Obama had made a very shocking news again when someone, captured his picture with the white iPad 2 3G with Smart Cover in hand while walking into his car. According to redmondpie.com says that President Obama is using the iPad 2 3G. And that’s mean the iPad had been cleared the White House security test while blackberry smartphone didn’t make it. Everyone may knew about Social Network, right? Nowadays, social network become one of the most popular way to connect to other people and it’s also the easiest way to share the love and pain to friends and to the world. Facebook, Twitter, hi5, and Myspace, these are social network means a lot to the world and to everyone. I always sign into my Facebook and Twitter account at least once a day and spend more than 3 hours on it everyday before and when i come back from work. In 2010, a Hollywood film maker had produced a film about Facebook which named it ” Social Network “. I learn a lot from it even though i didn’t understand all the meaning of it and the most important part that i still remember till today is ” You dare to dream, you dare to do it”, ” You don’t get to 500 million friends without making a few enemies” . These most important part mean innovate all the people dare to do anything to reach their dream and this are the most important part that i will never forget it. In simple, Apple usually product its product step-by-step, that’s mean when they upgrade their product line from a previous to the next generation, they always keep their name and add a special letter behind the original name. For example, when they upgrade the iPhone from iPhone 3G to iPhone 3GS, they added the a special letter “S” which mean “Speed” and the iPad as well. So, i am systematically say that, the next generation of the iPhone 4 will be the iPhone 4S. Letter “S” in here it’ll aim to the word “Speed” as well, but what make the next generation of iPhone 4 become the faster iPhone 4? The only answer that Apple will answer to this question is the iPad 2. What’s that mean? That’s mean, Apple will use their newest A5 chip inclusion in the next generation iPhone. A5 chip just made their new iPad become one of the most popular iPad and faster than the previous iPad. So, the only one thing we can do right now is just wait to see what will Apple use and do in the next generation of their iPhone. Will it be iPhone 4S or will it be iPhone 5? We all know about the iPad and iPad 2 but there is no one can defeat blackberry playbook at all if we compare about its spec. 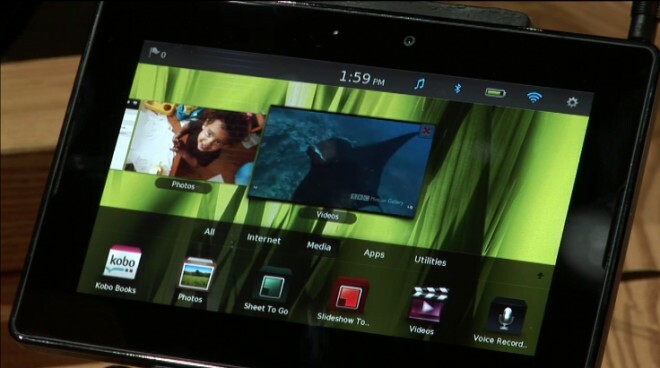 RIM has just made a major movement in tablet pc battle in the market. 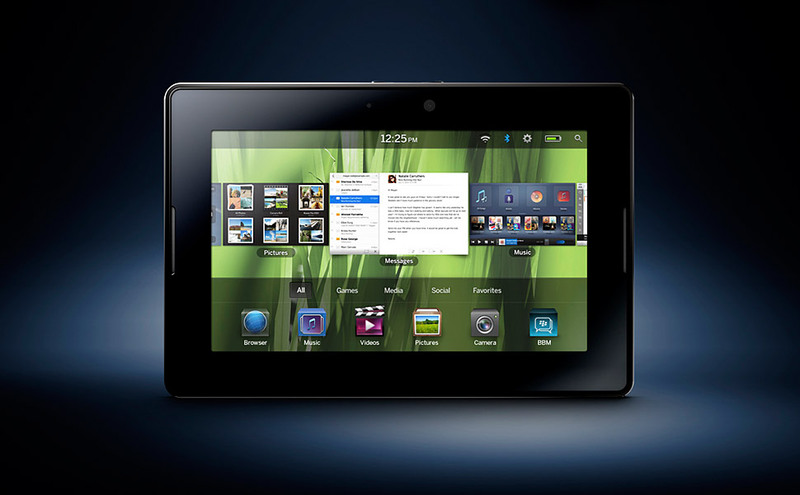 Blackberry playbook owns a very fast CPU and RAM with an imaging multitasking.